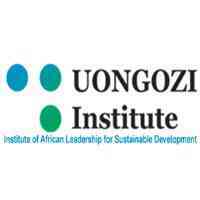 UONGOZI Institute seeks to inspire leaders and promote the recognition of the important role on leadership in development within Africa. Located in the President’s Office, United Republic of Tanzania, UONGOZI Institute provides training to leaders from Tanzania and beyond, organises high-level policy forums, dialogues and carries out research on leadership and sustainable development. The Information and Communication Technology (ICT) Unit plays a vital role in supporting the implementation of the Institute’s Strategic Plan. Under the overall guidance of the Management Information Systems Officer, the ICT Intern will provide daily technical support to end-users on information management tools and technology infrastructure. The Intern will mainly assist in providing effective ICT solutions as well as maintenance of hardware, software and other ICT systems. o Respond to users’ requests for service, troubleshooting and assist to develop solutions. o Assist in updating antivirus software and repair computers infected with spyware, adware and/or viruses. o Support PC hardware components, desktop operating system software, and application software. o Assist in monitoring backup systems and procedures for data security. o Assist in maintaining inventory records and documentation for ICT equipment. o Assist users in determining appropriate software solutions to meet needs. o Provide backup technical support for network, including router, firewall, and wireless access point. o Any other relevant duties as directed by the Supervisor. o Must hold a Bachelor’s degree in Information Technology, Computer Science or any other ICT-related field. o Knowledge on Web based 2.0 and above is a plus. o Ability to work effectively both independently and as part of a team. o Knowledge of software development. o Ability to multi-task in a fast-paced environment. o Strong verbal and written communication skills, both in English and Swahili. o Volunteering experience is preferred, although not required. Initially, the Intern will be provided with a three-month contract. Some assignments will require travel. Interested candidates should submit their applications via recruitment@uongozi.or.tz with the following subject line “ICT Intern”. The application should include a Curriculum Vitae (CV) with contact details of three referees and a motivation letter, submitted by April 30th, 2019.